Is Invisalign in San Marcos Right for Me? Are you tired of feeling insecure about your crooked or gapped teeth? When you live with a misaligned smile, your confidence is not the only area that suffers. Your dental health is negatively impacted as well. Your teeth are more difficult to clean, increasing your risk for tooth decay and gum disease. To protect the health of your smile, it is important to invest in orthodontics. However, at San Marcos Gentle Dental, we understand that you are concerned about wearing metal braces, which is why we offer a less noticeable treatment with Invisalign in San Marcos. Now, you can discreetly straighten your smile and improve your oral health without wires and brackets using an FDA-approved treatment. Traditional braces use metal wires and brackets that are attached to the teeth to pull them into position. While it is effective for treating the most complex bite and alignment concerns, they are very noticeable and have certain restrictions. Invisalign resolves the issues many have with metal braces. Instead of brackets and wires, a series of clear plastic aligners are worn to gradually align your teeth. Using impressions of your teeth, we create a series of aligners. You wear them for about 22 hours per day, only taking them out to eat, drink, and for oral hygiene. Each one is worn for about two weeks, at which point, you can switch to the next one in the series right from your own home. This offers a convenient treatment because you do not have to come into the office for adjustments. However, you will still need to schedule an appointment every few weeks so we can monitor the progression of your treatment. On average, it takes about 12 months to progress through the entire series. Then, you will briefly require a retainer to prevent them from moving back into their previous positions. When choosing the aligners, you can feel confident while you straighten your teeth because no one will be able to tell that you are wearing them. In addition to a shorter, convenient treatment, the aligners resolve the disadvantages of traditional braces. Since the aligners are removable, you will not have dietary restrictions. You can eat and drink whatever you like, just remove the aligners beforehand and clean them before placing them back into your mouth. Oral hygiene is easy because you do not have to brush and floss around wires and brackets. Simply take out the aligners and care for your teeth as you normally do and clean the aligners with a clear, antibacterial soap before putting them back in. Invisalign can be used to treat several bite and alignment complications, but is it not right for everyone. 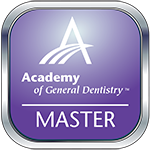 Your dentist in San Marcos, Dr. J. Robert Donnelly will perform a comprehensive consultation to ensure you are a candidate. If you are ready to improve your confidence and oral health, contact San Marco Gentle Dental today to schedule an appointment. 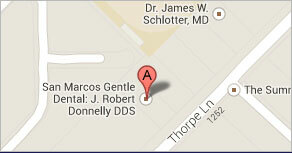 Comments Off on Is Invisalign in San Marcos Right for Me?